A visit to Matmata, Tunisia will take you through both movie history and a cultural introduction to the nomadic people who settled the area. Located about 40 kilometers from the oasis of Gabes, Sidi Driss is set in a rugged, arid environment that was deemed the perfect location for the filming of Star Wars Episode IV: A New Hope. 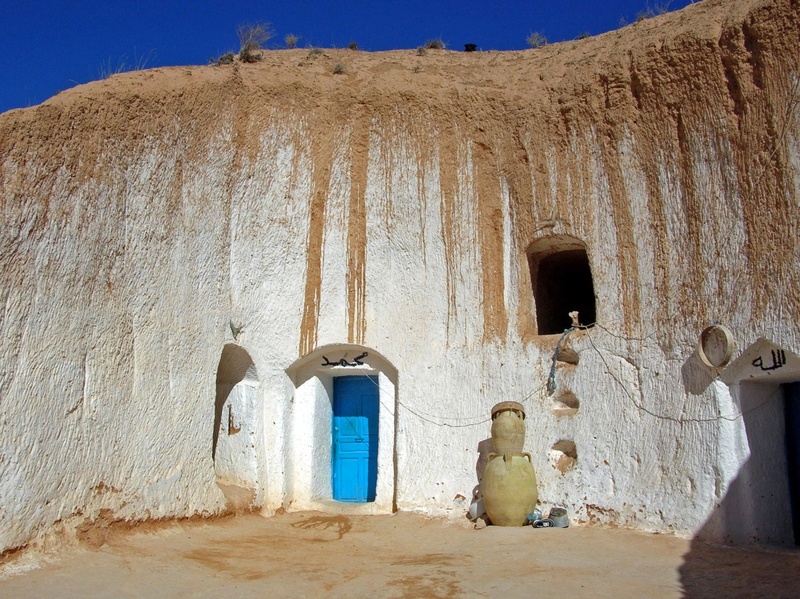 The town itself was carved from the troglodyte caves by Berber refugees centuries ago. 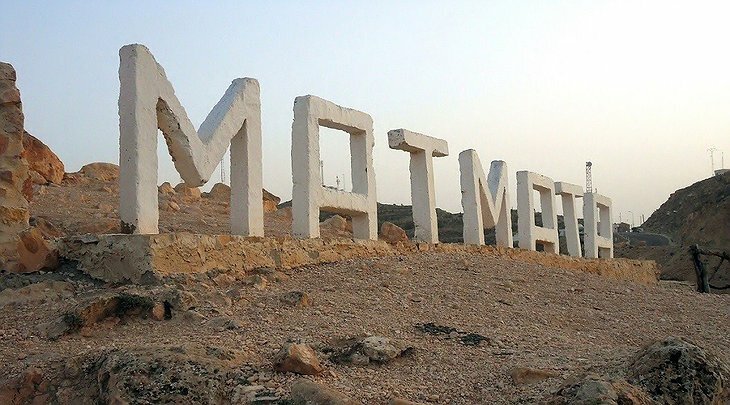 Today there is a small settlement on the surface, but most people live in the troglodyte structures and open their homes as folklore exhibitions. 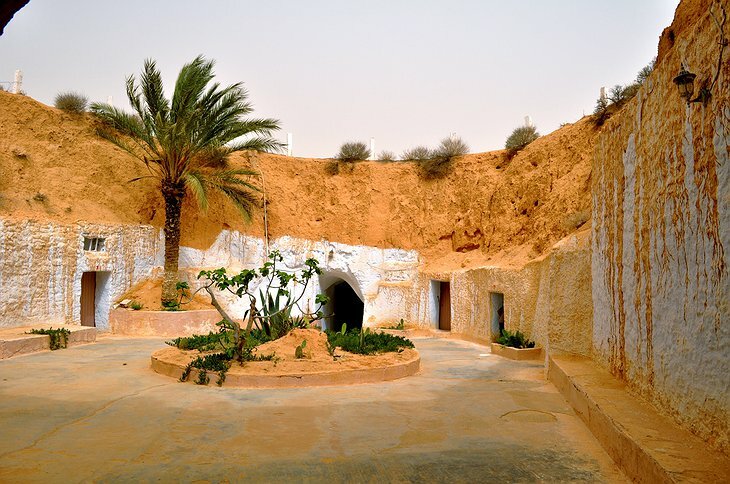 Hotel Sidi Driss allows you to experience life underground in your own private grotto. 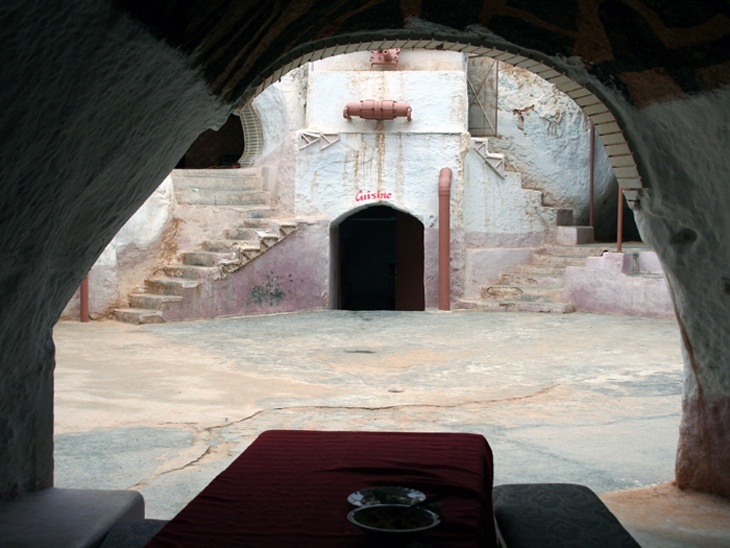 The main reception is connected to 20 separate guestrooms via a series of echoing corridors and a circular courtyard. 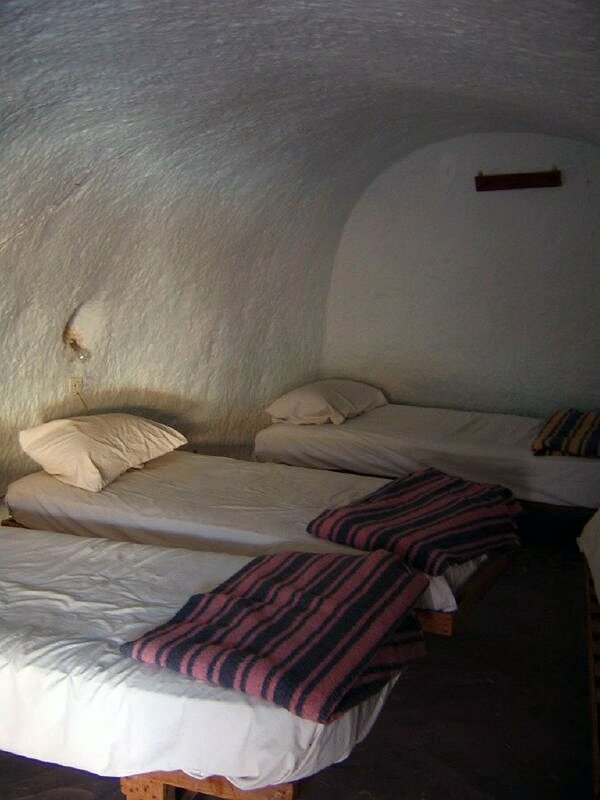 The earthen walls regulate the temperature throughout the hotel to maintain a comfortable environment for guests. The extremely affordable room rates also include a traditional breakfast each morning in the dining room. 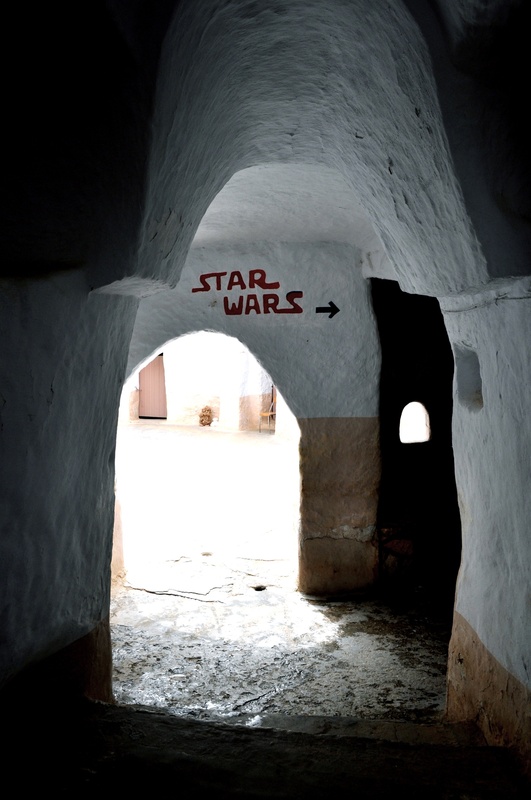 You can also enjoy regional dishes for both lunch and dinner where the actual filming of Star Wars took place. 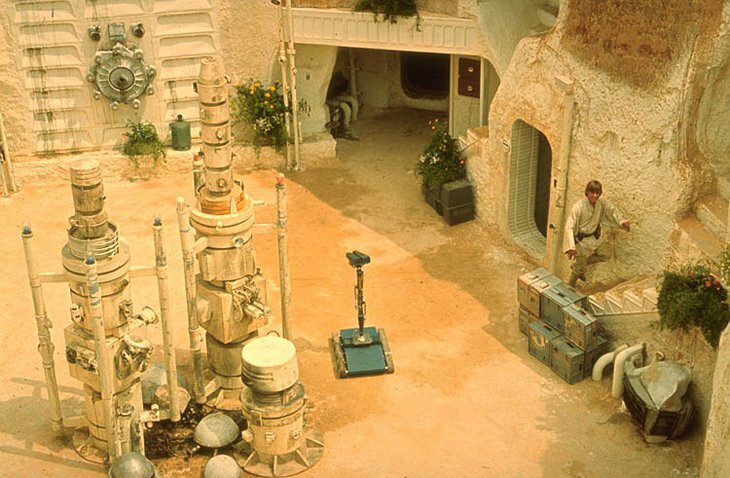 A French fan of the series offered her talents to help recreate the Lars homestead to make Star Wars fans feel as if they are walking into Luke Skywalker’s childhood home. 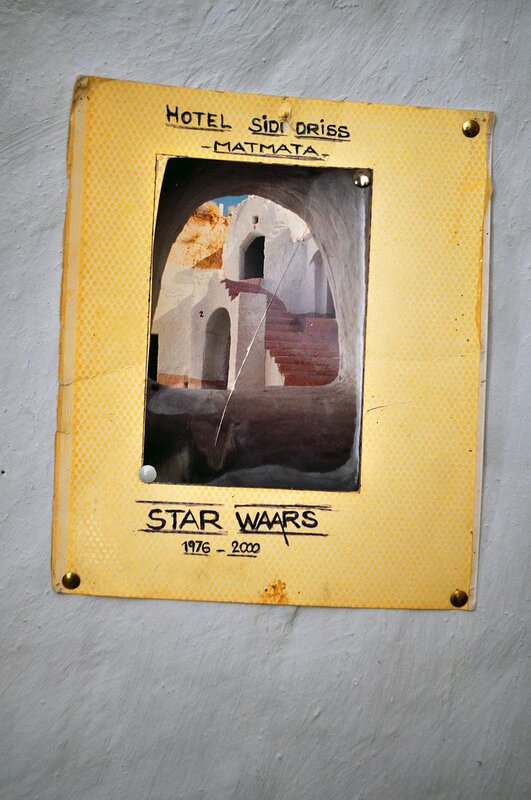 Many of the original decoration remain intact and the hotel is open to guests year round. 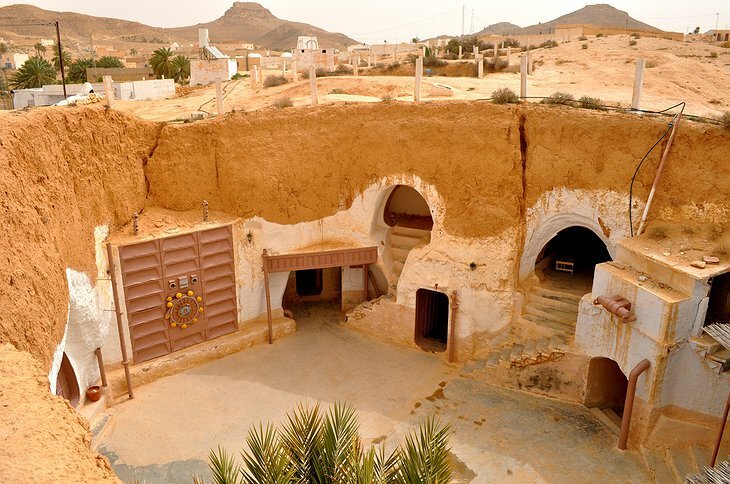 Hotel Sidi Driss is the ultimate vacation destination in Tunisia for the most diehard Star Wars fans. 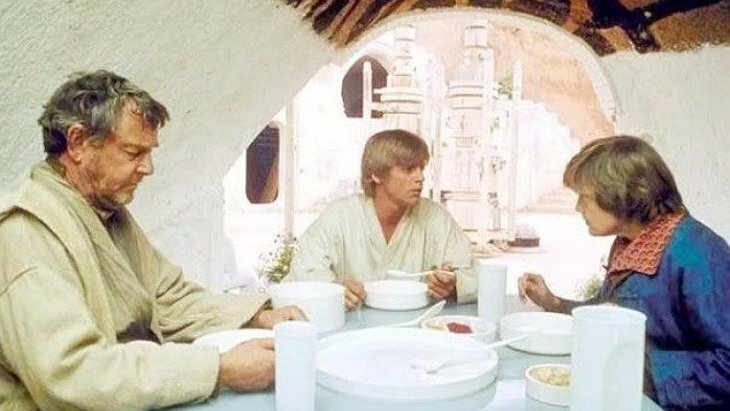 This is the room Luke had lunch with his aunt and uncle, before heading outside to gaze at the two suns setting in the distance.